We have a brand new business pack detailing all of our business services and details of our offers. Seven acres of tranquil and private surroundings. Unique historic location with contemporary comfort and modern facilities. Competitive rate prices; both for day and overnight delegates. 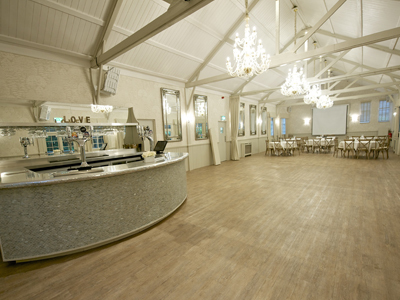 Professional facilities including state of the art AV system, projectors, large screens and WiFi. 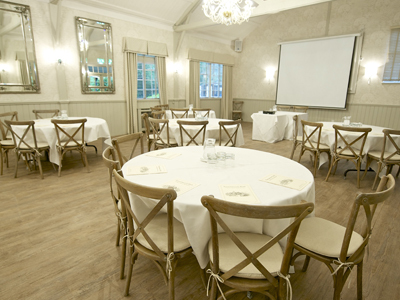 We can cater for the smallest business meeting to conferences with up to 500 delegates. Flexible catering options from business breakfasts, refreshments to lunches and formal dinners. Heated outdoor swimming pool for delegates to enjoy during the summer. Professional events team on hand to plan and organise your event. Set in seven acres of secluded and tranquil Suffolk countryside, Ravenwood Hall offers a unique atmosphere for all types of business events. Just off Junction 45 of the A14, five-minutes from Bury St Edmunds, the Hall’s idyllic setting effortlessly nurtures inspiration and engagement. No matter what type of business event you are looking to hold, our professional events team are on hand to help you plan the perfect day. We can cater for business events from small board meetings through to largescale conferences. We have a number of rooms in the hotel, ideal for smaller meetings. With high ceilings and lots of natural daylight our stylish, refurbished Edwardian pavilion seats up to 130 delegates (200 standing). It has its own entrance, veranda and garden allowing a high degree of privacy. For larger events we can arrange a marquee on the lawn which can accommodate up to 500 delegates. And of course there are lots of secluded grounds for you to use for team building events. Our experienced team can tailor our services to meet your precise requirements. If you would like more information about our conference services please call 01359 270345, complete our enquiry form or download our Conference Pack.